Pamper yourself with Affordable Luxury in Nordic’s Jubilee SE™! A combination of 38 Nordic Star™ high flow stainless steel jets designed to optimize water flow and pressure to offer you fully customizable hot water massage. 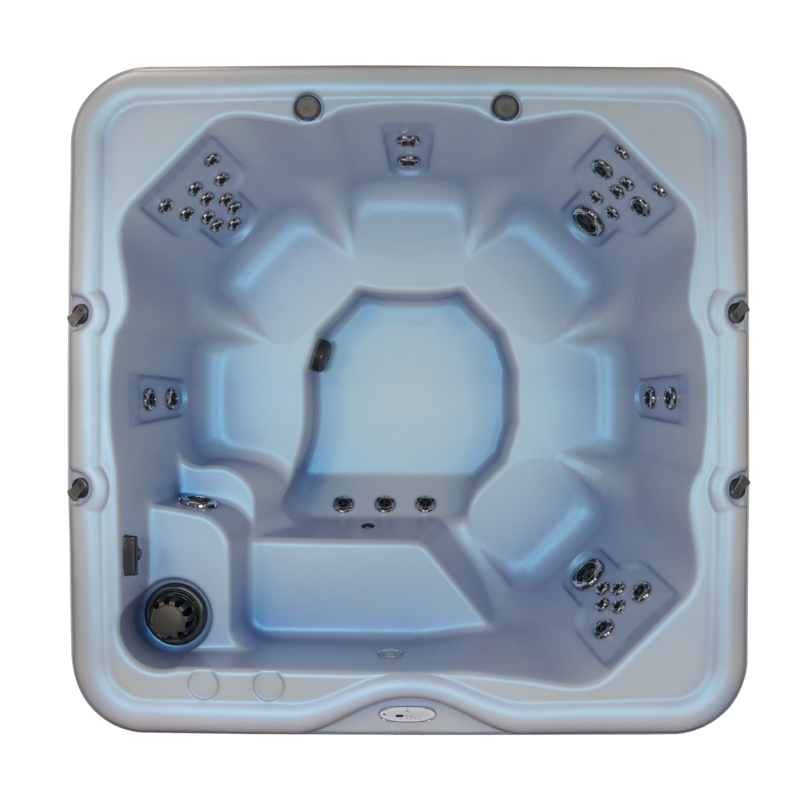 The Jubilee SE™ features gently bucketed seats for 6 which allow you to feel securely seated while you enjoy amazing hot water therapy. The step-in/cool-down seat adds safety for entering/exiting the tub and it provides a shallower seating option. The Jubilee SE™ is perfect for a family or entertaining! Equipped with fully adjustable Nordic Star™ jets and a powerful 3hp pump, it delivers the hot water therapy you want with the quality you demand. We've been carrying Nordic for almost a year now and the only complaint I have is that we didn't start selling them sooner! The tubs are great quality and the customer service can't be beat! They are quickly becoming one of our best sellers.